Psychological resilience is currently viewed as primarily a mental construct, with few measurement scales explicitly considering health hygiene factors as an integral component that allows healthy adaptation to adversity. Ongoing research, however, has provided greater clarity on the neurobiological nature of psychological resilience and has also suggested that health hygiene factors affect mental well-being on a neurobiological basis. We describe the neurobiological fundamentals of a new brief psychological resilience rating scale, the Predictive 6-Factor Resilience Scale (PR6), consisting of 16 items. Using this scale, we test the hypothesis that health hygiene factors are correlated with psychological resilience domains. We also measure forward-looking elements to contrast with point-in-time measurements and to check for consistency with the resilience construct. An existing neurobiological model is used as the basis for resilience domains and is then compared to other resilience scales for similarity in domain coverage. The PR6 was developed and subsequently applied using two modes (digital delivery, paper-based) to groups of working professionals (Healthcare, Finance). Internal consistency of the PR6 was tested and correlations between health hygiene factors and current resilience domains were carried out. Differences in resilience between industry, gender, and age groups were considered. Resilience scores for the PR6 showed good internal consistency over the 16 items and, alongside the correlation studies, confirmed that health hygiene factors have a statistically significant relationship with psychological resilience. Domain variances in groups indicated lower health hygiene scores in the Finance industry group, as well as with males. Emotion regulation (Composure domain) was found to be higher in the Healthcare industry group. Forward-looking items were also found to improve consistency and correlate with higher levels of resilience. Findings suggest that health hygiene factors should be considered in conjunction with traditional psychological resilience domains, and that the PR6 is a valid psychometric scale through which measurement can be applied. Forward-looking items (approach/ avoidance motivation schemas) were found to have a strong positive correlation with overall resilience scores, suggesting approach motivation schemas favorably impact healthy adaptation to difficult circumstances and stress. The foundations of each resilience domain measured by the PR6 provide for targeted treatment to improve holistic resilience capacity, and industry application in this study shows efficacy for both point-in-time and forward-looking psychological resilience assessment. M[/dropcapental health disorders are estimated to cost U.S. $800 billion in lost productivity annually, and this amount is expected to double by 2030 (World Bank, 2014). By extension, this projected escalation is grounds for giving greater attention to preventative and protective measures as a potential long-term avenue for improving mental well-being. Research over the last three decades into psychological resilience has indicated that this may be a key component in the challenge to attenuate the trend of mental health disorders (Edward, 2005). Briefly, resilience is the ability to positively adapt and thrive in the face of risk and adversity (Kong, Wang, Hu, & Liu, 2015; Masten, Cutuli, Herbers, & Reed, 2009). As a construct, it exists across multiple domains (Olsson, Bond, Burns, Vella-Brodrick, & Sawyer, 2003; Rutter, 1985) that are changeable and dynamic at all stages of the lifespan (Herrman et al., 2011). Rutter (2012) has noted that the focus is on individual differences, indicating the importance of accurately measuring variances within groups for efficacious intervention. While a host of resilience measurement scales have been developed in the last two decades (Windle, Bennett, & Noyes, 2011), any adaptation of scales based on findings from neurobiology research or related findings in research on physiological well-being has not been readily apparent. Deeper integration of these fields with resilience measurement could assist in moving the research beyond primarily phenomenological observations toward a mechanistic understanding of resilience capacity (Russo, Murrough, Han, Charney, & Nestler, 2012). This approach may reveal methods of intervention that are not currently in the arsenal for combating the rise of mental health disorders as projected by the World Bank (2014), for example. Recognizing this need, the World Health Organization has set a target of a 20% increase in service coverage for mental disorders by 2020 (World Health Organization, 2015). The broad applicability of resilience as a protective measure against depression across the lifespan (Elisei, Sciarma, Verdolini, & Anastasi, 2013) makes it a valuable intervention avenue, not only in clinical applications but also in workplaces, schools, and other organizations where the wider population can be reached. In this paper we investigate theoretical connections between domains of resilience and a neurobiological model to establish a new resilience measurement scale (Rossouw, 2015). We examine the implications of this scale: For example, given the importance of adaptation to resilience, together with the role of neuroplasticity to facilitate this adaptation, we hypothesize there exists a correlation between health factors that promote both neuroplasticity and psychological resilience. As noted by Fredrickson and Branigan (2012), “The broadening and undoing effects of positive emotion might together account for the salutary effects of positive emotions on health, physical functioning and longevity” (para. 31). With regard to resilience, there may be a bidirectional relationship where positive health promotes feelings of confidence and ability to deal with adverse situations (Tugade, Fredrickson, & Barrett, 2004). An analysis of the major resilience scales indicates that, to date, the potential relationship between resilience and health factors has not been incorporated into their designs. Consequently, we further explore the potential for psychological approach and avoidance patterns to be predictive in determining the future direction of psychological development, particularly in relation to resilience and well-being (Elliot & Covington, 2001). The culmination of these factors is the Predictive 6-Factor Resilience Scale (PR6) described below. 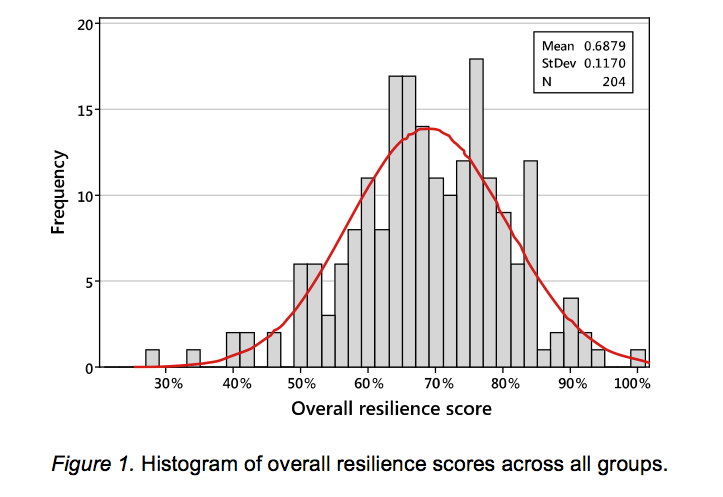 The wealth of research conducted in the development of existing resilience scales, particularly the higher scoring scales described in a recent review by Windle et al. (2011)—and in light of their assertion that, as yet, there exists no gold standard for resilience—allows the PR6 to be developed in a harmonious manner. The domains established in the PR6 may thus be in alignment with those described in the literature and in existing scales. This alignment provides a foundation that we can use to connect to a neurobiological model to establish a resilience scale that is more holistic and inclusive in scope. Measurement is at an individual level and aims to examine protective factors to mitigate risk and adversity, leading to thriving and resilient outcomes beyond what would normally be expected. As a mental construct, resilience is underpinned by neural networks and neurobiological functioning (Russo et al., 2012) and is known to change dynamically through various stages of life (Herrman et al., 2011). Therefore, while resilience is a function that helps individuals adapt, psychological resilience itself adapts over time (Donnon & Hammond, 2007; Friborg, Hjemdal, Rosenvinge, & Martinussen, 2003; Oshio, Kaneko, Nagamine, & Nakaya, 2003; Windle, Markland, & Woods, 2008). This adaptive capacity is enabled through well-established concepts of neuroplasticity as influenced by environmental factors (Kandel, 1998; Kandel, Schwartz, Jessell, Siegelbaum, & Hudspeth, 2013). Plasticity functions mechanistically via brain-derived neurotrophic factor (BDNF), which elevates neural production and, in turn, neural proliferation, to strengthen either healthy approach patterns or maladaptive avoidance patterns depending on the current neural activation (Castrén & Rantamäki, 2010; Lu, Nagappan, Guan, Nathan, & Wren, 2013). Given the crucial role of BDNF in neural development on a temporal scale, it follows that factors that positively affect the production of BDNF—such as physiological health hygiene—would positively correlate with the construct of resilience and, accordingly, introduce a new domain. This domain may indicate a virtuous interplay between traditional markers of psychological resilience and physiological health factors that positively influence BDNF and neural proliferation. We investigate this domain alongside traditional domains of resilience as described in the existing scales and the literature. Domains were formed based on the expansive nature of traits within the construct of resilience, allowing for more insightful thematic trait groupings that share neurological underpinnings. A neurobiological model that has previously been explored in the context of resilience is Davidson’s six dimensions of emotional styles (Davidson & Begley, 2012; Rossouw, 2013). A theoretical analysis and comparison of this model with existing scales, illustrated in Table 1, indicates a synthesis of interpersonal and intrapersonal protective factors that can be adapted into five domains of psychological resilience. These five domains are complemented by a sixth domain relating to physiological health. Interpretive and grouping differences between approaches result in subjective domain sorting; however, we hold that sufficient thematic alignment exists to analyze and categorize. As indicated in Table 1, some resilience scales do not clearly represent every domain described. The first domain (Vision) includes concepts of self-efficacy and goal setting. Both the Resilience Scale for Adults (RSA) and the Resilience Scale for Adolescents (READ) indicate Personal Competence as a factor that aligns to this trait group (Friborg et al., 2003; Hjemdal, Friborg, Stiles, Martinussen, & Rosenvinge, 2006). Likewise, a review of the Connor–Davidson Resilience Scale (CD–RISC) found Personal Competence, Sense of Control, and High Standards to be related characteristics (Connor & Davidson, 2003). The Dispositional Resilience Scale (DRS) also includes Control alongside Commitment (Hystad, Eid, Johnsen, Laberg, & Bartone, 2010). The Resilience Attitudes and Skills Profile (RASP) describes Creativity in relation to goals alongside Initiative and Values Orientation (Hurtes & Allen, 2001). The Youth Resiliency: Assessing Developmental Strengths (YRADS) scale aligns with Self-Concept and Empowerment (Donnon & Hammond, 2007). Similarly, the California Health Kids Survey (CHKS) includes Goals and Aspirations alongside Self-Esteem (Stewart, Sun, Patterson, Lemerle, & Hardie, 2004). The Resilience Scale (RS) includes Meaningfulness (Wagnild & Young, 1993), reflecting a sense of purpose and long-term goals, which aligns well with Positive Future Orientation in the ARS (Oshio et al., 2003). Conceptually, these factors align to the Outlook emotional style identified by Davidson (Davidson & Begley, 2012), referring to the ability to maintain a positive outlook and allowing positive emotions to persist—which involves a positive self-concept, a proclivity to set goals as a pathway to meaning, and belief in self-worth. It is this sense of hopefulness, planning, and positive outlook that we incorporate in the Vision domain. Neurological structures involved in this domain include the ventral striatum through its role in higher order decision making and risk/reward cognition (Davidson & Begley, 2012). The interplay of memory storage and retrieval by the hippocampus and meaning assignment by the prefrontal cortex (PFC) plays a part in maintaining a hopeful sense of the future, and this is reinforced by goal directedness (Preston & Eichenbaum, 2013). The second domain (Composure) is primarily about emotional regulation and the ability to recognize, understand, and act on internal prompts and physical signals. The RS reflects this as a sense of Equanimity (Wagnild & Young, 1993) alongside Emotional Regulation in the ARS (Oshio et al., 2003). The RSA and READ include concepts of Personal Structure (Friborg et al., 2003; Hjemdal et al., 2006), while the Control aspect of CD–RISC may also serve in the sense of self-control (Connor & Davidson, 2003). On the youth resilience side, RASP describes Humor and Creativity in the context of feelings (Hurtes & Allen, 2001); YRADS speaks of Self-Control (Donnon & Hammond, 2007); and CHKS includes Empathy (Stewart et al., 2004). These align well to the Self-Awareness emotional style, described by Davidson, which relates neurologically to the ability of the insula to effectively interpret signals and enable regulation of the hypothalamic–pituitary–adrenal (HPA) axis (Davidson & Begley, 2012). Self-awareness manifests through increased emotional granularity, where an accurate and positive disposition has been shown to improve physiological health through the broaden-and-build effect and the undoing effect (Tugade et al., 2004). We group these as the Composure domain. The third domain (Tenacity) centers on the concept of perseverance and hardiness, which to many is the primary characteristic of resilience, and is the main aspect measured by the Brief Resilience Scale (Smith et al., 2008). The CD–RISC describes Tolerance to Negative Effect and Tenacity (Connor & Davidson, 2003), while the RS includes Perseverance (Wagnild & Young, 1993). Representation of this aspect is less clear on the youth measurement scales, but the RASP is supportive through its concept of Independence (Hurtes & Allen, 2001). The Resilience emotional style from Davidson’s model presents clear alignment and points to the ability of the PFC to effectively regulate limbic and HPA activation (Davidson & Begley, 2012). Here, linkage to self-awareness can be observed through its role in informing the PFC of the need for HPA regulation. More broadly, while hardiness may be a key component to aid in bouncing back from adversity, the other domains have crucial protective roles to play. Of particular interest in this domain is that perseverance has been shown to be more important than IQ as a predictor of long-term goal outcomes (Duckworth, Peterson, Matthews, & Kelly, 2007). Considering that broader psychological resilience is inclusive of this ability to persevere, we termed this the Tenacity domain. The fourth domain (Reasoning) involves a wider range of higher cognitive traits such as problem-solving, resourcefulness, and growing through adversity, or thriving (Carver, 1998). The ARS includes Novelty-Seeking (Oshio et al., 2003) in this light, alongside an aligning concept of Self-Reliance in the RS (Wagnild & Young, 1993). CD–RISC refers to the ability to positively accept change and the strengthening function of stress (Connor & Davidson, 2003), while the DRS has a concept titled Challenge (Hystad et al., 2010), and RASP includes Insight and Creativity in relation to resourcefulness (Hurtes & Allen, 2001). Other youth scales such as YRADS include Commitment to Learning (Donnon & Hammond, 2007), while the Child and Youth Resilience Measure (CYRM) summarizes these as Personal Skills (Ungar & Liebenberg, 2011). The Attention style from Davidson’s model is of interest here in its role to screen out distractions and stay focused when facing risk or adversity (Davidson & Begley, 2012). Left and right PFC activation functions in conjunction with the anterior cingulate cortex (ACC) to rapidly screen for errors and optimize subsequent responses (Peterson et al., 2014). Executive functioning here is enabled following the downregulation of the HPA axis through the Composure and Tenacity domains and functions in the broader context set by the Vision domain. The ability to effectively regulate limbic functions is supported by strategies such as interpretation bias, which has been shown to have a protective effect in the resilience construct, though it must be grounded in a realistic sense of optimism (Clarke, 2014; Kleim, Thörn, & Ehlert, 2014; Oettingen & Wadden, 1991). We group these traits as the Reasoning domain, reflecting its executive functioning and cognitive nature. The fifth domain (Collaboration) relates directly to psychosocial interaction, including secure attachment, support networks, context, and humor. This domain is common among resilience scales, with some scales focusing more heavily on this aspect. For example, the RSA and READ include Social Competence, Family Coherence, and Social Resources, making up the bulk of these surveys (Friborg et al., 2003; Hjemdal et al., 2006). CD–RISC contains Secure Relationships (Connor & Davidson, 2003), while the RS contrasts with Existential Aloneness (Wagnild & Young, 1993). Youth scales are also heavy on this aspect, with YRADS listing Parental Support/Expectations, Peer Relationships, Community Cohesiveness, School Culture, Cultural Sensitivity, and Social Sensitivity (Donnon & Hammond, 2007). RASP describes Relationships and Humor in this context (Hurtes & Allen, 2001), while CYRM includes Social Skills and Peer Support (Ungar & Liebenberg, 2011). Finally, CHKS aligns with Help-Seeking and Communication and Cooperation in this group (Stewart et al., 2004). These align with two of the Davidson styles, namely Social Intuition, which refers to the ability to accurately read people through body language, emotional tone, and needs, and Sensitivity to Context, which involves being able to accurately discriminate between social contexts and adapt approach accordingly (Davidson & Begley, 2012). Schore (2000) noted that the right prefrontal cortex (RPFC), which receives cues interpreted by other regions, plays a key role in secure attachment. It has been suggested that the fusiform gyrus plays this interpretive role through facial expression recognition and has been shown to be able to affect the amygdala in response to emotional faces (Pujol et al., 2009). Healthy RPFC interpretation and accurate facial recognition are thus crucial to appropriately regulating amygdala activation for constructive reaction when faced with risk and adversity. On a broader level, secure attachment is well documented as a key component of resilience (Blaustein & Kinniburgh, 2010; Svanberg, 1998). This positive impact of the social framework continues through adolescence and into adult life, where research has shown social influences affect BMI and weight loss outcomes (Leahey, Kumar, Weinberg, & Wing, 2012; Leahey, LaRose, Fava, & Wing, 2011). Of particular interest is that it is not received support but rather the perception of support that is the key enabler of resilient outcomes (Wethington & Kessler, 1986). This reinforces the importance of healthy neural activation in the PFC to regulate triggers that may otherwise cause distress—and thereby maintain wellness through positive interpretation and perception management. Multifaceted and complex, we title this the Collaboration domain. The sixth domain (Health) concerns physiological health and is the proposed addition. While the other five domains are heavily informed by current resilience scales, this sixth domain has received little attention, likely due to a focus on the psychological aspects of resilience. Work by Tugade et al. (2004) clearly indicated a link between emotional experience and health—for example, calling on the effect of higher resilience to quell autonomic arousal in the HPA. This type of arousal increases cortisol levels, which in turn reduces BDNF and thereby the potential for positive neural adaptation (Issa, Wilson, Terry, & Pillai, 2010). Evidence of chronic health issues affecting mood, and the relationship between posttraumatic stress disorder, anxiety, and negative health outcomes, strengthen the hypothesis of a link between positive health and resilience (Eckenrode, 1984; McWilliams, Cox, & Enns, 2003). This is especially relevant since resilient individuals have been shown to be better at coping with serious health issues such as cancer (Min et al., 2013). We turn now to the positive effect of BDNF on resilience and find three physiological factors that affect production. We also consider another factor beyond BDNF that also has a potential interconnection with resilience. The first factor is regular exercise, which has been shown to increase BDNF and hippocampal function (Cassilhas et al., 2012; Cotman & Berchtold, 2002). In the short term, exercise improves cognitive and memory functions (Chapman et al., 2013), as well as ACC activation, which is key for the Reasoning domain. Benefits also extend into the long term to maintain cognitive capacities and serve to protect against future adversity in the form of mental decline (Colcombe et al., 2006). The second factor is nutrition, as a diet high in sugar, dietary fats, and alcohol has been show to downregulate BDNF (Heffernan, 2008; Molteni, Barnard, Ying, Roberts, & Gomez-Pinilla, 2002). More generally, the psychological link between the broader influence of nutrition and well-being is well established, such as the strong relationship between obesity and depression (Simon et al., 2008). The third factor is sleep hygiene, where recent evidence points to a crucial interplay between stress, sleep, and BDNF levels (Giese, Unternaehrer, Brand, Calabrese, Holsboer–Trachsler, & Eckert, 2013). Lack of sleep has further been shown to degrade higher cognitive functioning along with increasing impulsiveness, which may lead to negative outcomes when faced with adversity requiring reasoned responses (Greer, Goldstein, & Walker, 2013; Killgore, 2010). The recommended quantity of sleep is inversely related to age—currently it is eight to ten hours for teenagers and seven to nine hours for adults (Hirshkowitz et al., 2015). In combination, these three factors designate adequate health hygiene factors to be included as items in the PR6. We include an item per factor, as well as an item for overall health, as even the best hygiene may not protect against all physiological problems—for example, a general health self-report survey has shown high correlation with chronic pain (Mäntyselkä, Turunen, Ahonen, & Kumpusalo, 2003). Motivation in terms of approach and avoidance suggest a distinction between behaviors of approach, where reward is expected, and avoidance, where there is a fear of loss (Elliot & Covington, 2001). In the context of high resilience, one would expect the approach–avoidance conflict to result in constructive outcomes. Some approach and avoidance models have been found useful predictors of work and educational outcomes as well as dysfunctional outcomes (Jackson, Hobman, Jimmieson, & Martin, 2009). Continued goal striving during adversity is a constructive product of resilience. 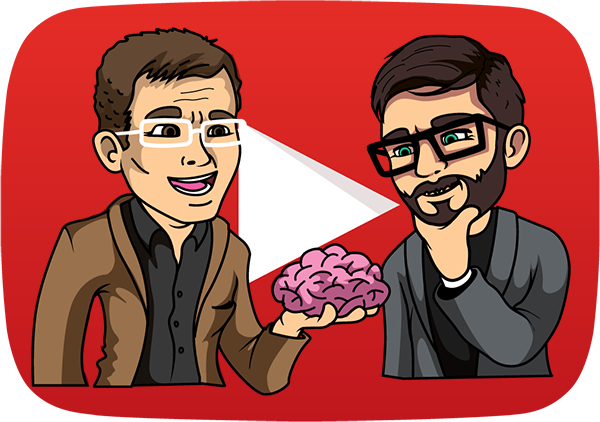 As Elliot and Thrash (2002) summarize, a goal is “a concrete cognitive representation of a desired or undesired end state use to guide behaviour” (p. 806), and they go on to connect an approach temperament to positive prediction of goal outcomes. Two items are included in the scale to measure approach and avoidance schemas in terms of a sense of direction and openness to new challenges. This is measured in conjunction with the other six domains as Momentum. The survey was envisioned as a shorter form self-report questionnaire to increase its applicability to broader contexts and allow for re-testing over time. This follows precedent and preempts the path followed by previous scales (Burns & Anstey, 2010; Carver, 1997; Smith et al., 2008). Items were rated on a 5-point Likert scale ranging from 1 = not at all like me (most negative), 2 = a bit like me, 3 = somewhat like me, 4 = often like me, and 5 = very much like me (most positive). Two of the Health domain questions had more specific answers, again ranging across 5 points. Two items were selected per domain which were informed by a review of existing scales as well as additional literature on the subject of resilience. Item revision was also conducted via feedback from the first group of study participants, resulting in minor revisions of wording for items relating to Composure. Each domain (except for the Health domain) and the Momentum items contained one reverse-scored question; the Health domain comprised four positively scored items. Table 2 expands on descriptions of each item within the PR6. The overall sample (N = 204) consisted of two groups of professionals recruited to complete the survey. The first group (n = 128) consisted primarily of Healthcare and Education professionals contacted during workshops in the following cities: in Australia: Melbourne (59), Sydney (29), and Brisbane (26); in New Zealand: Dunedin (14). Surveys were completed on paper sheets handed out and then handed back to the facilitator once completed. Of this group, 80% were psychology clinicians or counsellors. Males accounted for 13% of the sample, females 78%, while the remaining 9% marked “other” or left a blank. Age representation was broad: 9% were between 21 and 30 years of age, 18% between 31 and 40, 27% between 41 and 50, and 44% were 50 and over. The second group (FIN) consisted of financial services professionals recruited from a major bank (n = 76). The survey was offered to the organization in the form of an online device completed confidentially by each staff member. Individual results were not made available to management. The respondents all resided in Sydney; females accounted for 41% and males 59% of the total group. Age representation was again broad, with 5% aged between 21 and 30, 43% between 31 and 40, 34% between 41 and 50, and 5% were 50 years and over. Scoring was completed by first reversing the negatively phrased questions, then summing each item pair per the first five domains and for the Momentum score. Health had four positively scored items, which were subsequently summed to complete the scores for the six domains. Each domain was averaged to produce a comparable score per domain. 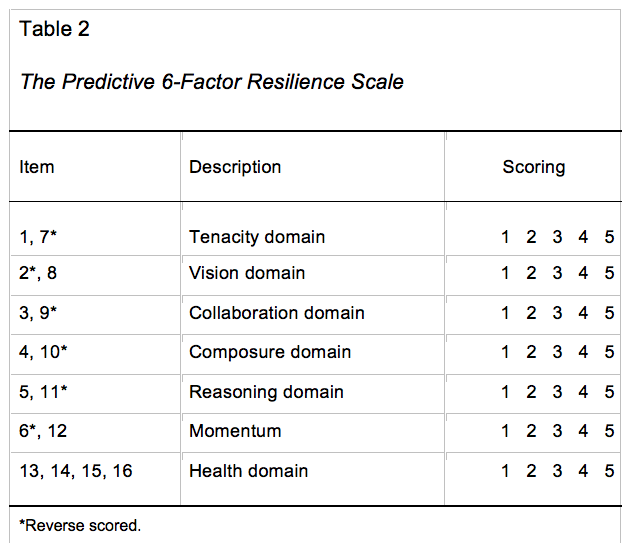 An overall resilience score (PR6 score) was calculated as an average of each of the six domains, ranging from 0 (lowest resilience) to 1 (highest resilience). The distribution of PR6 scores for N = 204 resulted in M = 0.6879, SD = 0.117, and 95% CI [0.67178, 0.70409]. The results mostly followed the SD, with additional clustering around the 75th and 85th percentiles. Normality was confirmed with an Anderson–Darling test of 0.440 and a p-value of 0.289 for the full population. Floor and ceiling effects were not encountered as no responses reached the lowest level, while only one response reached near the upper bound with a score of 0.9911. Table 3 summarises scores for the different populations across Industry, Age, and Gender. Industry-grouped PR6 scores for Healthcare at M = 0.697 were slightly higher than Finance at M = 0.6842, though both fell within 95% CI, indicating no statistically significant difference, while Education and Not Specified scores at the time of measurement did not have sufficient data to draw meaningful conclusions. Similar results were observed within Age, Gender, and Location whereas once a sufficient number of responses had been received, no statistically significant differences were noted within groups for overall scores. Domain analysis indicated one statistically significant difference between Finance and Healthcare. Composure scores, 95% CI [0.6262, 0.6863], for Healthcare were significantly higher (M = 0.6971, p = 0.027). Health scores, 95% CI [0.6047, 0.6613], for Finance were lower, but the difference was not statistically significant (M = 0.5921, p > 0.05). Overall, mean PR6 scores for females were 0.6823, with males scoring slightly higher at 0.6983. Males had higher variability, ranging from a minimum of 0.2857 to a maximum of 0.9911, compared to females with a minimum of 0.3393 to a maximum of 0.9464. 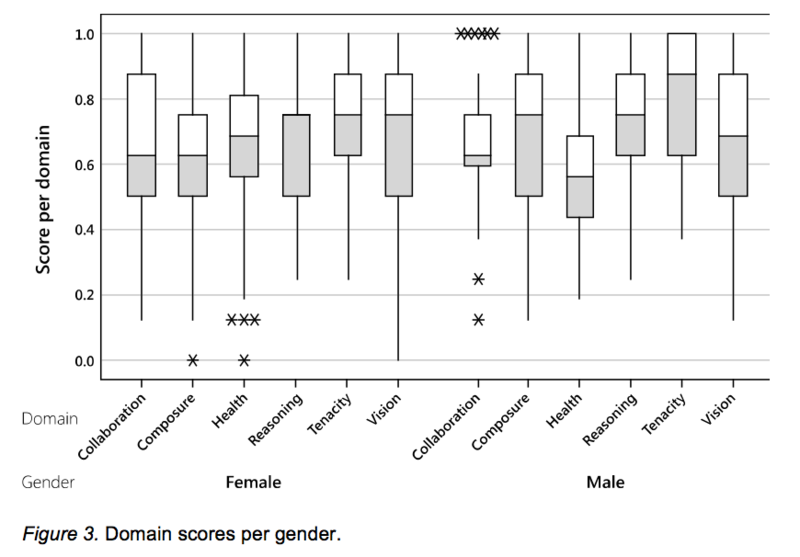 Figure 2 shows PR6 scores by gender and age group. Initial results indicated stability among female age groups, while males appeared to have an upward trajectory over time. However, the low number of results for males ages 21-30 (n = 2) and 50+ (n = 12) suggest additional data is required before significance can be validated. Figure 3 shows gender differences by domain of resilience. This analysis indicated an area of statistically significant difference between genders. Within the Health domain, 95% CI [0.6047, 0.6613], compared to females, males scored much lower (M = 0.5696, p = 0.012). Conversely, within the Tenacity domain, 95% CI [0.7407, 0.7875], males scored higher (M = 0.7944, p > 0.05), and in the Reasoning domain, 95% CI [0.6694, 0.7203], males also scored higher (M = 0.7440, p > 0.05). However, the high p-values for these differences noted in the Tenacity and Reasoning domains indicate statistical significance was not reached. Domain correlation (Figure 4) shows relationships between the five Davidson styles (Vision, Composure, Reasoning, Tenacity, and Collaboration) and the proposed Health domain. The Composure and Reasoning domains displayed the strongest relationship, while relationships were also evident between other Davidson styles, as is to be expected as part of traditional resilience factors. Of interest is the hypothesized correlation between the five Davidson styles and the proposed Health domain. Pearson correlation between the Health domain and five Davidson styles was found to be positive at 0.169 with a p-value of 0.016. While the Pearson value is in the lower range, the < 0.05 p-value indicates the relation is of statistical significance. Additional analysis was conducted to confirm the relationship through Cronbach’s alpha. 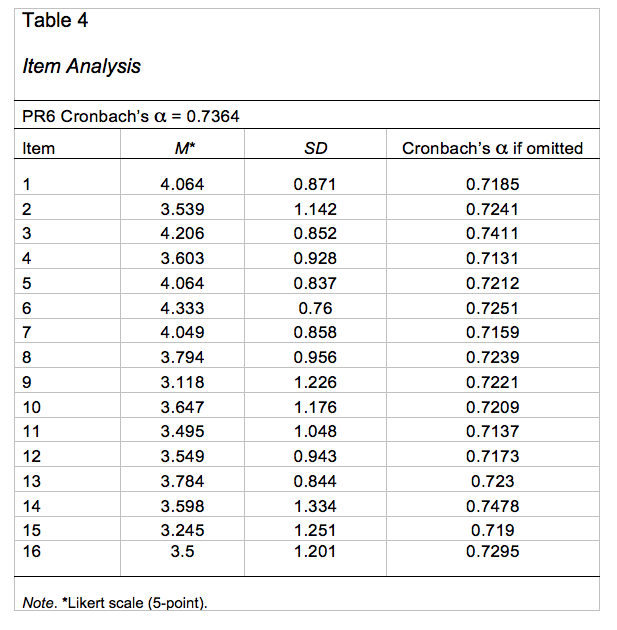 Item analysis yielded a Cronbach’s alpha of 0.7364, indicating good internal consistency and validity as a psychometric tool. Table 4 details the item analysis and a if removed from the survey. Of note are items 3 (openness to working with others) and 14 (sleep hygiene), which had a slight negative effect on alpha. The first 12 questions (excluding the four Health domain questions) yielded an alpha of 0.7491. Additional analysis of the Health domain retains alpha above 0.70, indicating high internal consistency and a meaningful relationship between traditional resilience domain measurements and the Health domain. In particular, three of the questions improve a significantly: Exercise frequency (Item 15) had the strongest effect (a = 0.719 if omitted); adherence to healthy nutrition (Item 16) had the second strongest effect (a = 0.7295 if omitted); and general perceptions about health (Item 13) had the third strongest effect (a = 0.723 if omitted). 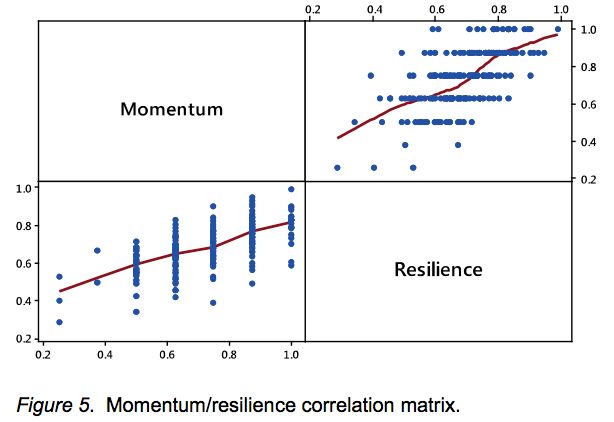 Forward-looking Momentum items (6, 12) were found to have a strong positive correlation (Figure 5) with resilience (Pearson = 0.642, p-value < 0.001). These items also had a positive effect on alpha, with Item 6 (reverse scored) and Item 12 reducing alpha to 0.7251 and 0.7173 if omitted. No significant differences were found in Momentum scores between Industry, Gender, or Age groupings. We have developed a new holistic resilience scale (PR6) incorporating health factors through which we tested the hypothesis that these health factors are an integral component of psychological resilience. The PR6 was primarily tested on participants in the Healthcare and Finance industries, first, to validate the hypothesis and, second, to investigate its potential for application among individuals and in the workplace. Statistically significant positive correlations between Health and the five Davidson styles support the hypothesis that health hygiene factors function together with traditional resilience constructs. The good internal consistency measurements in this study also support this hypothesis and confirm that the PR6 represents a valid psychological resilience measurement tool. The PR6 unifies domains measured by other resilience scales across five distinct neurobiological schemas and successfully incorporates Health as a new, sixth, domain of psychological resilience. The positive relationship between Health and the other five domains of resilience is of particular interest because Health is not currently measured as a standard in any of the scales considered. As the current view is that resilience is mainly a psychological construct, the findings from this study support the hypothesis that resilience is a wider phenomenon that also relies on (or manifests as) a predisposition to maintain healthy habits in terms of exercise frequency, adherence to health nutrition, and sleeping patterns. We note that this research does not make a determination if there is a causative relationship between Health and the other five resilience domain, or if one precedes the other. Interpretation of previous research for the neurobiological foundations of the PR6 indicate mechanistic factors that may explain these relationships in a causative fashion. Testing of the scale on a population of professional workers proved to be a useful application in the measurement and treatment of specific resilience factors. The diverse industries of Healthcare and Finance displayed no statistically significant differences in overall PR6 scores although some differences were noted on a domain level—significantly in the Composure domain, and to a lower extent in the Health domain. Composure was noted to be higher in the Healthcare industry, while Health was noted to be lower in the Finance industry. Momentum items are noted to be highly consistent with the resilience construct, suggesting that psychological approach and avoidance schemas may play a functional role in the ability to manage adversity. This suggestion fits with current models, as approach motivation toward changing or adverse circumstances suggests healthy adaptation. Non-Momentum items are designed to quantify resilience primarily as a point-in-time measurement, while the Momentum items through approach and avoidance schemas contrasts with a forward-looking element. This allows particular usefulness in workplace applications where the Momentum scores may serve as a leading indicator of future directions of resilience and well-being. Furthermore, mapping the PR6 resilience domains to neurobiological structures indicates more direct potential brain-based treatment. The addition of health factors as an integral component of maintaining a healthy brain and its subsequent effect on the overall resilience construct further bolsters a holistic resilience treatment methodology. The PR6 is a holistic resilience measurement scale that reaches further than traditional scales by incorporating health hygiene factors as a fundamental component of psychological resilience. Reflecting the eventual use of existing scales, the scale itself is short and simple to administer. Application of the scale through paper-based and electronic administration was found to have no significant deviation, allowing for multiple modes of delivery. In consideration of differences in the observed scores, we note the following speculations. Higher Composure scores in the Healthcare population are likely due to 80% of the group being psychology clinicians or counsellors who have received specific training through their professional education. Differences found in the Health domain, particularly the lower scores in Finance, are suspected to be largely related to gender differences given that a high percentage of the Healthcare group was female, and female participants overall had higher Health scores than males. The significantly lower Health scores for males, accompanied by slightly higher (though not significant) scores in Tenacity and Reasoning, suggest that males may sacrifice Health in favor of domains that are more directly perceived as pursuant to current goals. 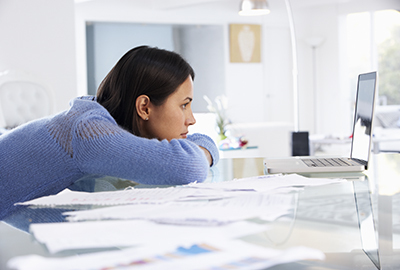 These findings suggest an area for further research to determine validity and motivation. The upward trending resilience scores as age increases in males, noted in Figure 2, are expected to stabilize to the mean once larger sample sizes are obtained. Particular items noted to be less strongly consistent with resilience were sleep hygiene and openness to working with others. It may be the case that more resilient people are better able to stay focused during periods of varying sleeping patterns; however, the effects of chronic sleep disturbance are well documented and are expected to have an effect on long-term well-being. Regarding the second item, resilience often relies on the assistance of others, but it may not necessarily require one to actually prefer the company of others. Nevertheless, there may be a longer term relationship between the desire to be around others and protective resilience factors over time. The authors plan to monitor different versions of these items in order to further investigate and refine their relationship with resilience. Ongoing application of the PR6 is planned for younger age groups as well as in clinical settings, and this will be contrasted with treatment to determine effective methods of resilience modification, focusing especially on digital delivery methods. The current test across wide-ranging age groups allows for its application in the broader population as both an individual and a workplace resilience and well-being measurement scale, indicating specific strengths and weaknesses across the holistic six domains of resilience. We propose that the six domains of resilience present discrete neurobiological components that allow for effective treatment to improve overall resilience and well-being by focusing on individual areas as highlighted through the PR6. Blaustein, M. E., & Kinniburgh, K. M. (2010). Treating traumatic stress in children and adolescents: How to foster resilience through attachment, self-regulation, and competency. New York, NY: Guilford. Carver, C. S. (1998). Resilience and thriving: Issues, models, and linkages. Journal of Social Issues, 54, 245–266. Chapman, S. B., Aslan, S., Spence, J. S., Defina, L. F., Keebler, M. W., Didehbani, N., & Lu, H. (2013). Shorter term aerobic exercise improves brain, cognition, and cardiovascular fitness in aging. Frontiers in Aging Neuroscience, 5, 75. Clarke, P. J., Nanthakumar, S., Notebaert, L., Holmes, E. A., Blackwell, S. E., & MacLeod, C. (2014). Simply imagining sunshine, lollipops and rainbows will not budge the bias: The role of ambiguity in interpretive bias modification. Cognitive Therapy and Research, 38, 120–131. Colcombe, S. J., Erickson, K. I., Scalf, P. E., Kim, J. S., Prakash, R., McAuley, E., . . . Kramer, A. F. (2006). Aerobic exercise training increases brain volume in aging humans. The Journals of Gerontology. Series A: Biological Sciences and Medical Sciences, 61, 1166–1170. Connor, K. M., & Davidson, J. R. (2003). Development of a new resilience scale: The Connor‐Davidson Resilience Scale (CD‐RISC). Depression and Anxiety, 18, 76–82. Cotman, C. W., & Berchtold, N. C. (2002). Exercise: A behavioral intervention to enhance brain health and plasticity. Trends in Neurosciences, 25, 295–301. Davidson, R. J., & Begley, S. (2012). The emotional life of your brain. New York, NY: Plume. Donnon, T., & Hammond, W. (2007). A psychometric assessment of the self-reported Youth Resiliency: Assessing Developmental Strengths questionnaire. Psychological Reports, 100, 963–978. Eckenrode, J. (1984). Impact of chronic and acute stressors on daily reports of mood. Journal of Personality and Social Psychology, 46, 907–918. Elisei, S., Sciarma, T., Verdolini, N., & Anastasi, S. (2013). 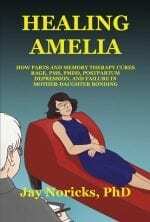 Resilience and depressive disorders (Supplemental material]. Psychiatria Danubina, 25, S263–267. Elliot, A. J., & Covington, M. V. (2001). Approach and avoidance motivation. Educational Psychology Review, 13, 73–92. Elliot, A. J., & Thrash, T. M. (2002). Approach-avoidance motivation in personality: Approach and avoidance temperaments and goals. Journal of Personality and Social Psychology, 82, 804–818. Heffernan, T. M. (2008). The impact of excessive alcohol use on prospective memory: A brief review. Current Drug Abuse Reviews, 1, 36–41. Hjemdal, O., Friborg, O., Stiles, T. C., Martinussen, M., & Rosenvinge, J. H. (2006). A new scale for adolescent resilience: Grasping the central protective resources behind healthy development. Measurement and Evaluation in Counseling and Development, 39, 84–96. Hurtes, K., & Allen, L. (2001). Measuring resiliency in youth: The Resiliency Attitude and Skills Proﬁle. Therapeutic Recreation Journal, 35, 333–347. Jackson, C. J., Hobman, E. V., Jimmieson, N. L., & Martin, R. (2009). 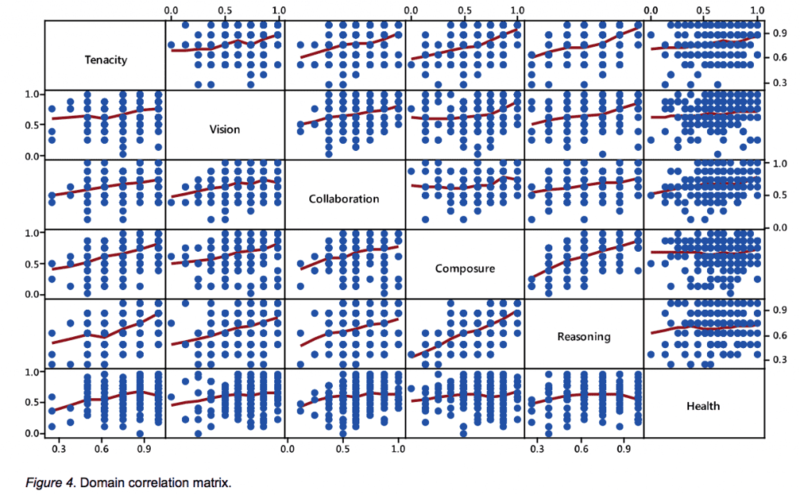 Comparing different approach and avoidance models of learning and personality in the prediction of work, university, and leadership outcomes. British Journal of Psychology, 100(2), 283–312. doi:10.1348/000712608X322900. Kandel, E. R. (1998). A new intellectual framework for psychiatry. The American Journal of Psychiatry, 155, 457–469. Kandel, E. R., Schwartz, J. H., Jessell, T. M. Siegelbaum, S. A., & Hudspeth, A. J., (Eds.). (2013). Principles of neural science (5th ed.). New York, NY: McGraw-Hill. Killgore, W. D. S. (2010). Effects of sleep deprivation on cognition. In G. A Kerkhof & H. P. A. van Dongen (Eds. ), Human Sleep and Cognition: Part 1: Basic Research (pp. 105–130). Amsterdam, The Netherlands: Elsevier. Mäntyselkä, P. T., Turunen, J. H., Ahonen, R. S., & Kumpusalo, E. A. (2003). 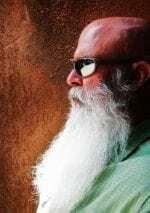 Chronic pain and poor self-rated health. JAMA, 290(18), 2435–2442. Masten, A. S., Cutuli, J. J., Herbers, J. E., & Reed, M. G. (2009). Resilience in Development. In C. R. Snyder & S. J. Lopez (Eds. ), The handbook of positive psychology (pp. 117–131). New York, NY: Oxford University Press. McWilliams, L. A., Cox, B. J., & Enns, M. W. (2003). Mood and anxiety disorders associated with chronic pain: an examination in a nationally representative sample. Pain, 106, 127– 133. Molteni, R., Barnard, R. J., Ying, Z., Roberts, C. K., & Gomez-Pinilla, F. (2002). A high-fat, refined sugar diet reduces hippocampal brain-derived neurotrophic factor, neuronal plasticity, and learning. Neuroscience, 112, 803–814. Olsson, C. A., Bond, L., Burns, J. M., Vella-Brodrick, D. A., & Sawyer, S. M. (2003). Adolescent resilience: A concept analysis. Journal of Adolescence, 26, 1–11. Oshio, A., Kaneko, H., Nagamine, S., & Nakaya, M. (2003). 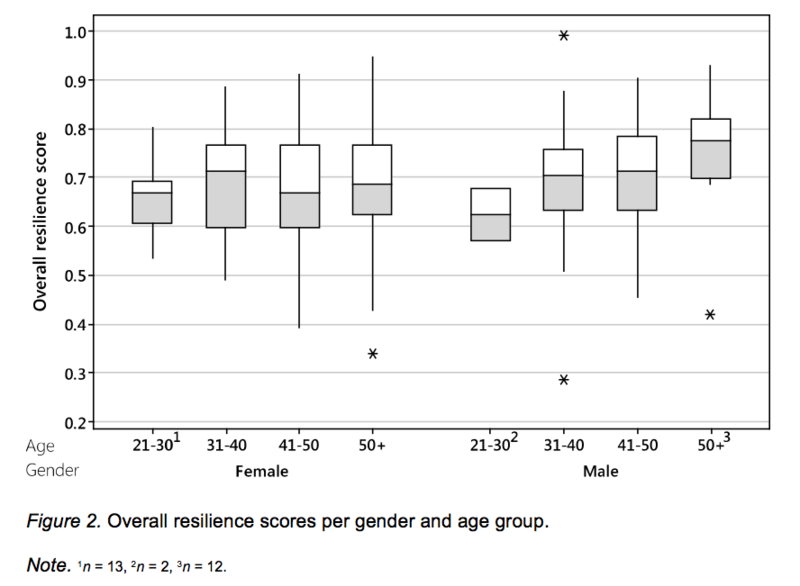 Construct validity of the Adolescent Resilience Scale. Psychological Reports, 93, 1217–1222. Rossouw, P. (2015, March/May). Resilience: A neurobiological perspective. Neuropsychotherapy in Australia, 31, 3–8. Rutter, M. (1985). Resilience in the face of adversity. Protective factors and resistance to psychiatric disorder. The British Journal of Psychiatry, 147, 598–611. Schore, A. N. (2000). Attachment and the regulation of the right brain. Attachment & Human Development, 2, 23–47. Wagnild, G. M., & Young, H. M. (1993). 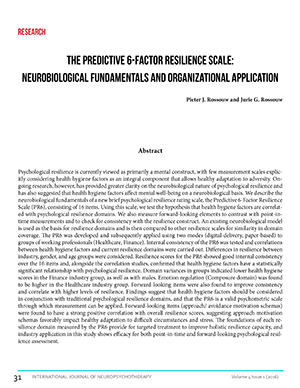 Development and psychometric evaluation of the Resilience Scale. Journal of Nursing Measurement, 1, 165–178. Wethington, E., & Kessler, R. C. (1986). Perceived support, received support, and adjustment to stressful life events. Journal of Health and Social Behavior, 27, 78–89. Windle, G., Bennett, K. M., & Noyes, J. (2011). A methodological review of resilience measurement scales. Health and Quality of Life Outcomes, 9, 1–18. 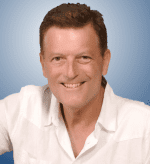 Pieter J Rossouw, BA, Hons, MClin Psych, PhD; Professor, Brain Based Education, School of Education, Central Queensland University, Australia; Director, The Neuropsychotherapy Institute; Director, Mediros; Director, The BrainGro Institute. 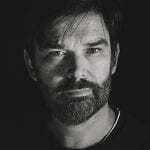 Jurie Rossouw, BCom Risk; Director, RForce. 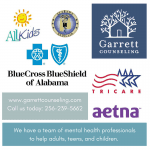 I am a practicing social support counselor and deal with adolescents in need of support. Kindly provide me a copy of the 6 factor resilience scale which you have developed. I want to administer the inventory and analyse the resilience levels. 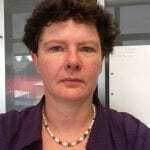 Hi Padmashri – you will have to contact Pieter at mediros.com.au about the 6 factor resilience scale. I too would like to ahold of the 6 factor resilience model for use with my pain patients (I am a clinical psychologist for dual diagnosis pain and depression clinic). I think the RM would be enormously useful. I would also be willing to allow you to use my clients as a cohort if you would like. would it be possible to get a copy of the scale? The scale itself is administered through an online platform and is available through ResiCoach.com. You may also email me directly through [email protected] for more information.